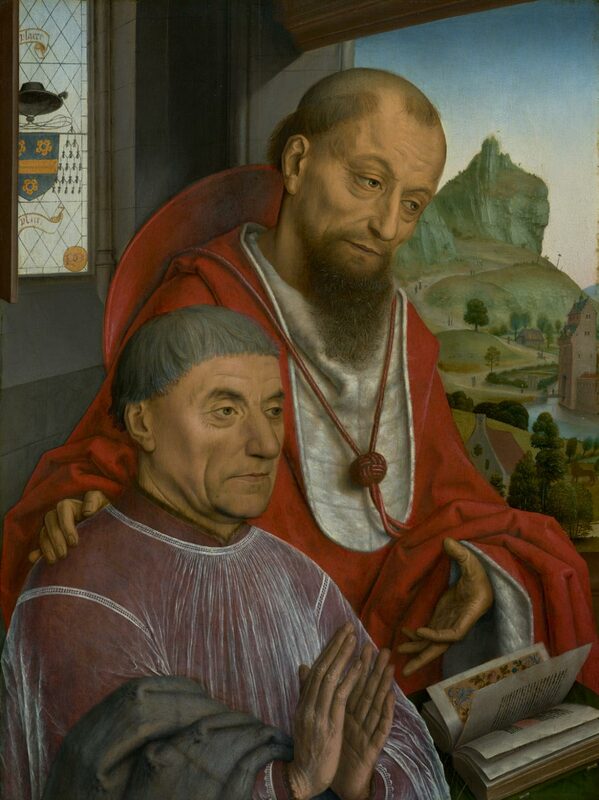 This painting formed the left half of a devotional diptych, a two-paneled work of art. The kneeling figure looks up from a splendidly illuminated devotional book of hours. He appears interrupted in his devotion, in all likelihood by the appearance of the Virgin and Child in the second panel that is now lost. The figure - whose identification remains unknown - wears the vestment of a canon, a type of clergy who typically spent a great deal of time praying. The presence of Saint Jerome behind him may indicate his first name and the coat of arms in the window is that of the Baradat family.